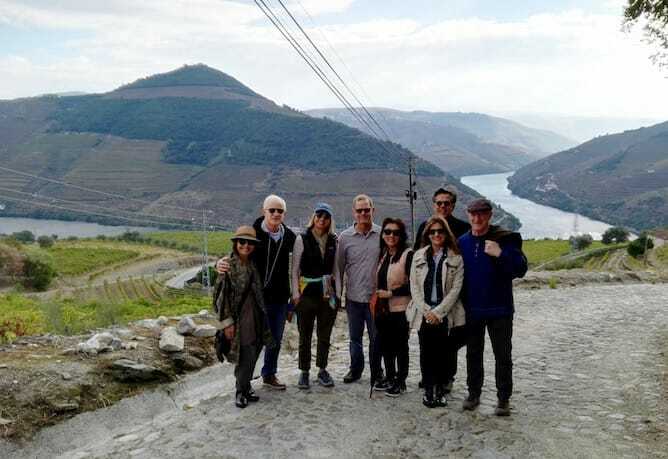 At the Douro Valley, where the famous Port wine and fantastic table wines are produced, there are dozens of estates that provide tours to their vineyards and wineries as well as wine tastings. 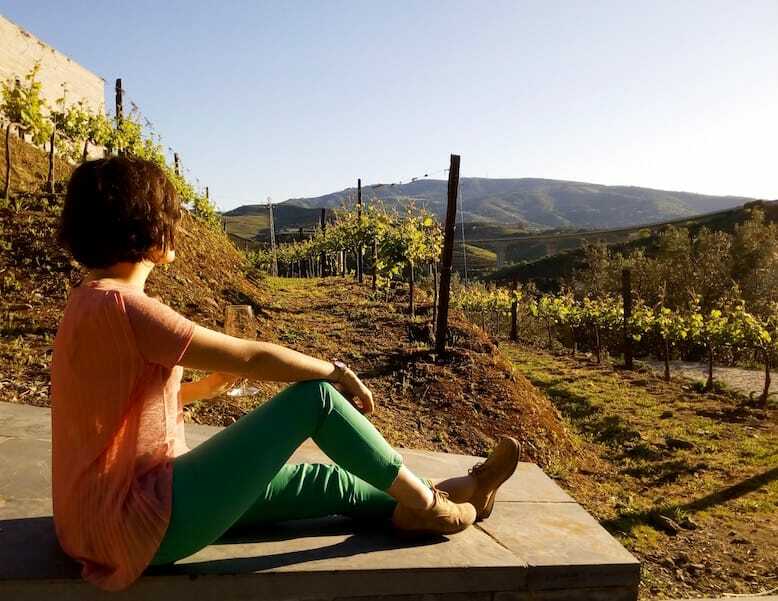 These are wonderful experiences for wine and nature lovers, just a few hours away from Porto. 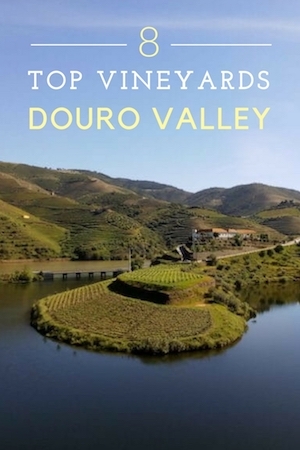 With this article you’ll get to know the top vineyards in Douro. 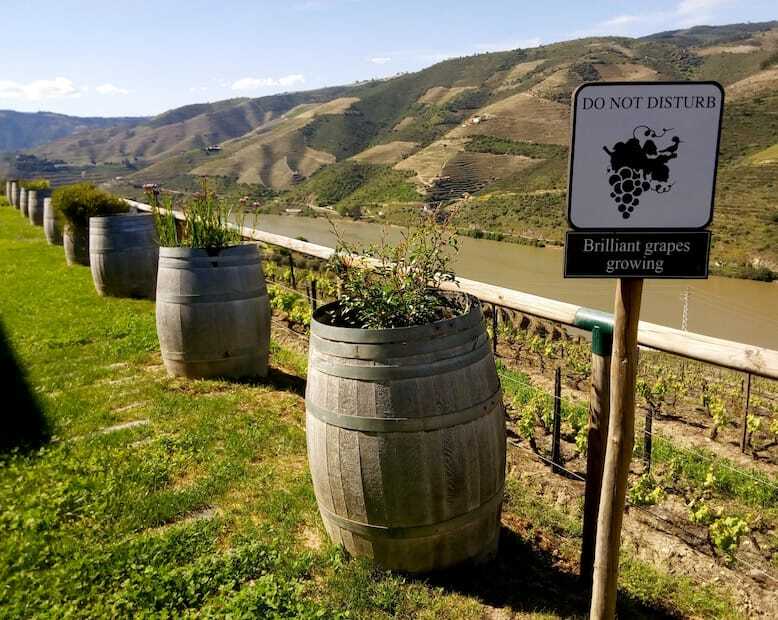 Don’t forget to read our guide on How to Plan your trip to Douro Valley as well as the one about the best Douro river cruises, the most popular activity in Douro besides drinking wine. Enjoy! The Douro Valley is divided in three sub regions: Baixo Corgo, Cima Corgo and Douro Superior, going from West (the Atlantic Ocean) to East, as pictured below. The more you move to East the less rain you get and the temperature range gets more extreme, with warm Summers and cold (yet dry) Winters. Baixo Corgo is the closest sub region to the Atlantic Ocean and hence it is the fresher one. Over a third of this sub region is planted with vineyards, and hence you can find some amazing producers of both still wines and Ports. 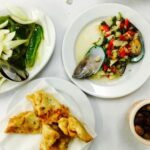 The heart of this sub region is the city of Peso da Régua, where you can find a good selection of amazing Portuguese traditional restaurants and tapas places. This sub region is the most accessible from Porto (it is 1h30 driving distance). Cima Corgo is usually considered the best place for Port wine producers and hence it should be on the top list for the true appreciators of this type of wine. 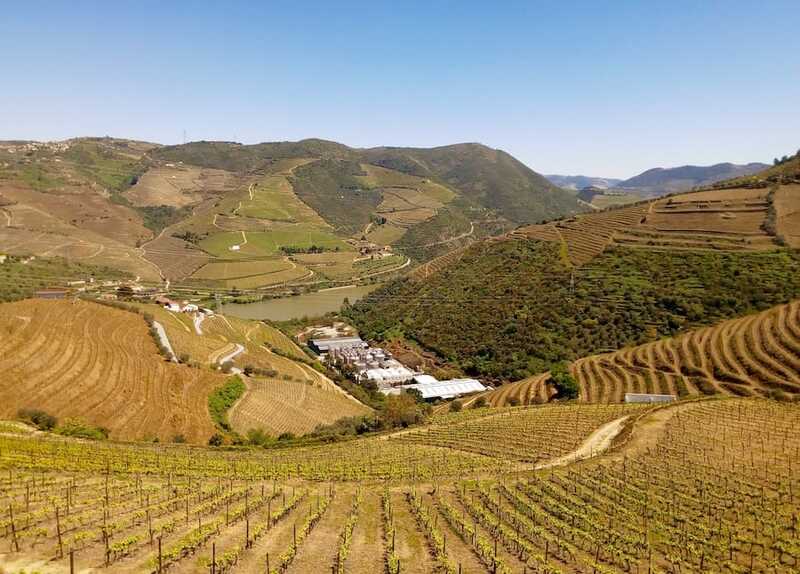 Here you can find some famous large scale producers such as Croft (Quinta da Roêda), Real Companhia Velha (Quinta das Carvalhas) and Dow’s (Quinta do Bomfim). The heart of this subregion in Douro Valley is the tiny city of Pinhão, which is 2h driving distance from Porto. 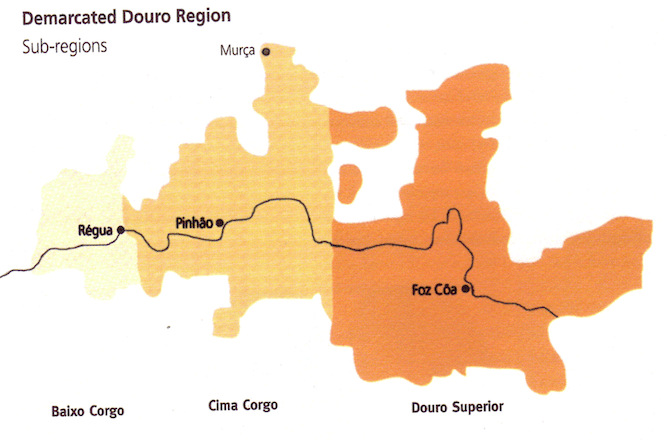 Douro Superior is the one further apart from Porto (2h30 driving distance). It is the subregion with least area of planted vineyards, but I particularly like it because it produces some amazing red wines. 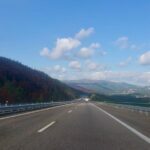 As I wrote this article thinking about travellers who want to organise a day trip from Porto, I decided not to include vineyards in Douro Superior. 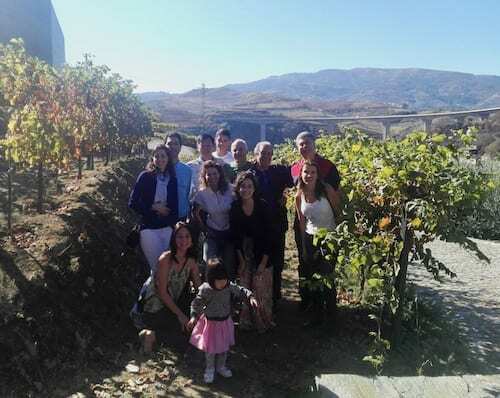 Quinta do Vallado, one of the oldest ones in the Douro Valley, is a pleasant surprise for someone who is looking for an informative and very well structured tour. Its wine tours are masterfully led young professional guides, most of whom have previously studied Oenology and hence truly understand the wine production processes. At the end of the wine tour you’ll be treated with a tasting of superb red wines – in such way that I ended up with a suitcase full of them! I strongly recommend this as one of the top vineyards in the Douro Valley for anyone looking for a detailed and informative wine tour, that runs every day at 11h30 or 15h in English and French. For reservations, send an email to reservas@quintadovallado.com. 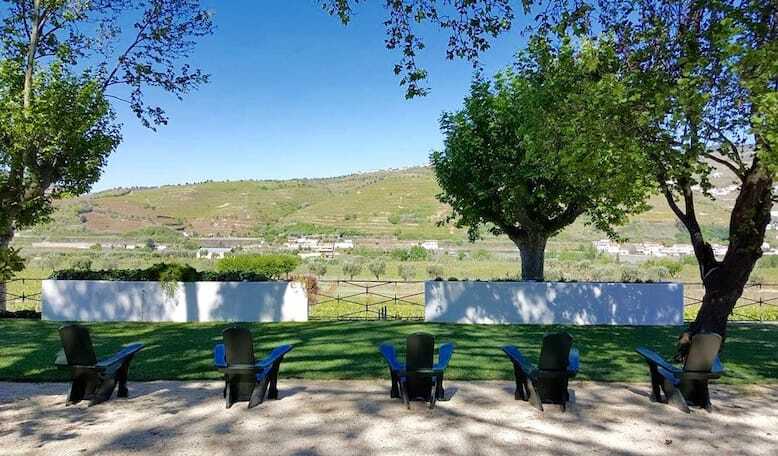 Quinta da Pacheca is one of the top vineyards in the Douro Valley because, in addition to wine tastings, it organises weddings, cooking classes, picnics,… the limit is the will of its customers! This vineyard is particularly well suited for someone looking for a relaxed tour followed by a generous wine tasting (it usually includes one white wine, two or three reds and some old Ports – usually an old Vintage and a 30 or 40 years old Tawny) at a lovely porch overlooking the vineyard. Wine tours take place from 9am to 6pm and you can book through reservas@quintadapacheca.com emails or enoturismo@quintadapacheca.com. I must confess I am not a huge fan of sparkling wine, but nothing like a visit to the Douro Valley to demolish any prejudice, mainly through wonderful free wine tours at the cellars of Murganheira. During the visit, you will learn the production process of sparkling wine. At the end, a tasting of sparkling wine, to convince you of the beauty of this product. You don’t need to make reservations, just show up at the hours of visits: 10am, 11am, 3pm and 4pm. 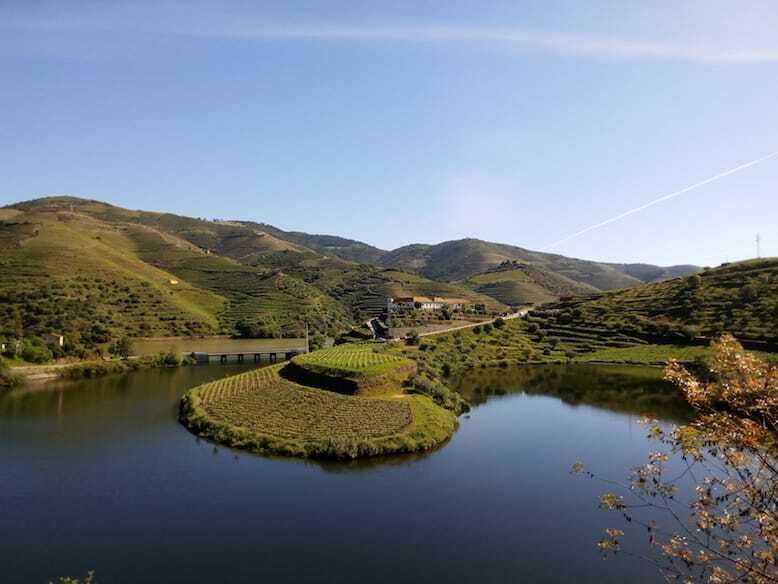 Quinta do Tedo, from the lovely Kay and Vincent Bouchard, has the perfect location, where Tedo river meets the Douro river, making this estate ideal for taking breathtaking pictures. Quinta do Tedo welcomes you with an impeccable wine tour, very professional yet warm at the same time, on the production of their fantastic red wines. I liked it so much that I ended up staying there for the night! 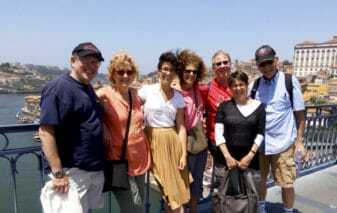 Wine tours are available in English, French, German and Spanish through info@quintadotedo.com. I already loved Quinta do Pôpa’s wines, so I visited this vineyard with high expectations. 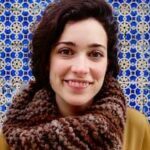 Leila, the guide on my wine tour, fully corresponded with an informative yet not boring tour, during which I learnt the story of Mr. José Pôpa, who had the dream of having his own vineyard in the Douro Valley. 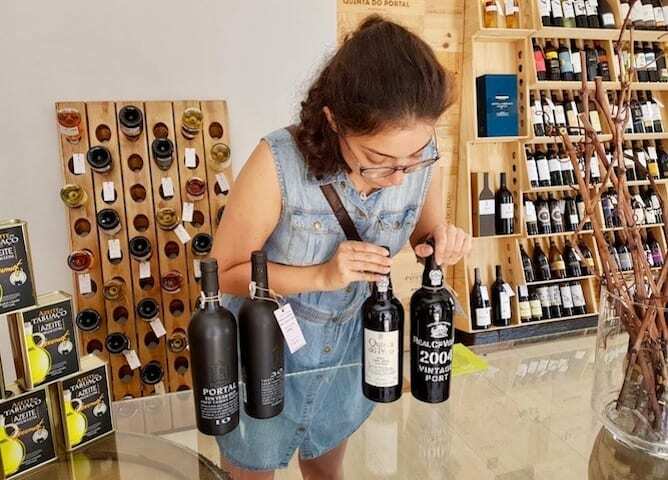 What I particularly enjoy at Quinta do Pôpa is its extraordinary marketing skills which are able to introduce great wines to younger consumers. Here you will be able to drink nice entry level wines (such as its amazing Rosé), some great single varietal wines (from Tinta Roriz, for instance) and the great Quinta do Pôpa Homenagem 2011, which was considered the best wine of the Year 2016 by the “Wine Oscars” organised by Revista dos Vinhos. 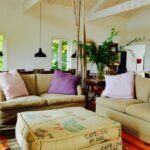 At this vineyard you can also indulge yourself with a picnic at the vineyards or with a Portuguese lunch at the lovely porch. 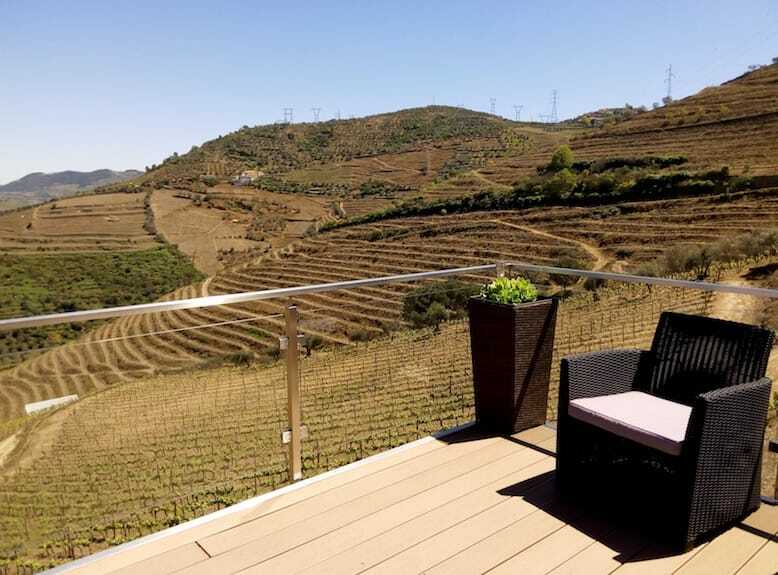 Given its superb location, overlooking the Douro Valley, and its very informal mood, I suggest this vineyard for young couples or families with kids. Quinta do Pôpa is definitely one of the top vineyards of the Douro Valley. Make your reservation at turismo@quintadopopa.com. Photo taken from Quinta do Crasto’s facebook page. 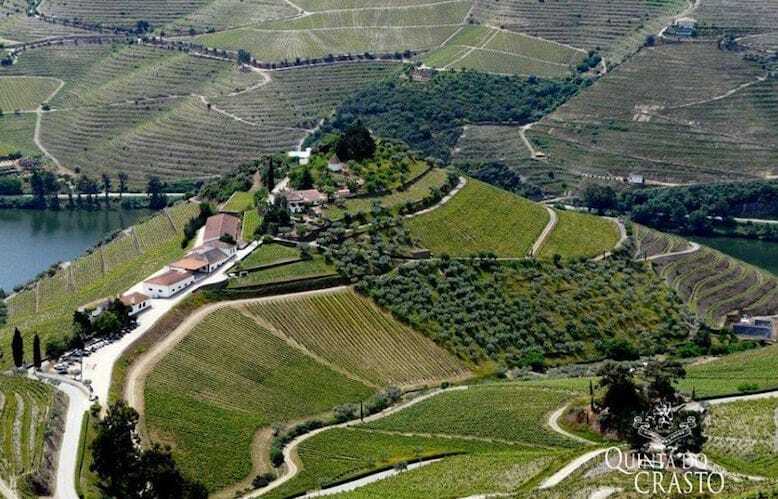 Quinta do Crasto well deserves to make it to the top vineyards of the Douro Valley. It is a bit difficult to get there, because of the curves all the way from Pinhão, but well worth it: the view is magnificent, and the wine tasting takes you on a first class trip to some of the best wines produced in Portugal. However, I must warn you that the tour is very sloppy and that they really pressure you to buy wines, which I find very inelegant. When you book a wine tour it is entirely yours (they won’t put more people on it), so it is a fantastic gift for a couple on a romantic weekend. Bookings through andreia.freitas@quintadocrasto.pt email or +351 254 920 020. Quinta de Santa Eufémia immediately seduces you with its beautiful view over the vineyards, where we can sit down and have a glass of port wine. It is a smaller, intimate vineyard, where you can see the entire production process in a small space, often accompanied by family members who manage it with so much love. At the end of the wine tour, a tasting of some fine Port wines accompanied by homemade marmalade. Given its informality I believe that this vineyard is a great place for someone looking for a more down to Earth and authentic experience at a small scale producer on the heart of the Douro Valley. 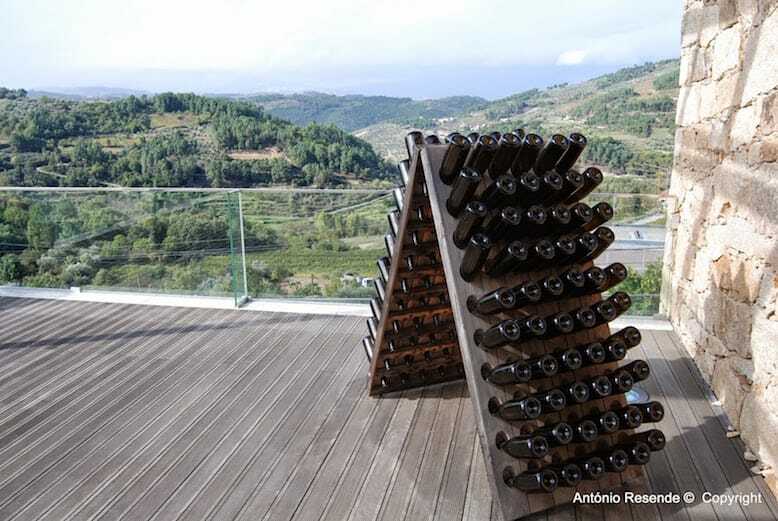 You can book the wine tour at this top vineyards in the Douro Valley at quintasantaeufemia@sapo.pt. 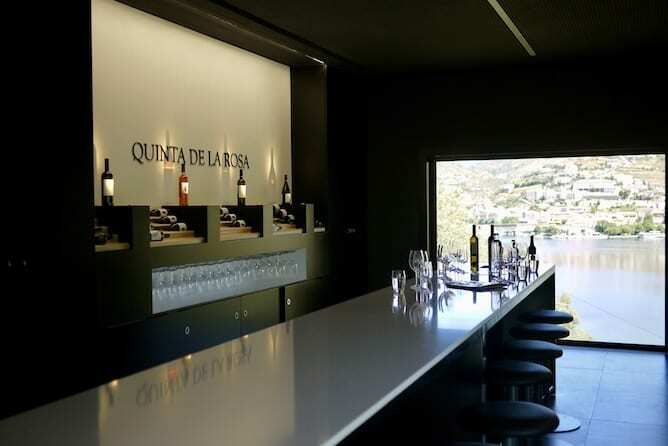 Quinta de La Rosa is a wonderful producer with a well structured tour that ends on a lovely tasting room overlooking the Douro river and Pinhão. Moreover, at this vineyard there is one of the best restaurants in Douro Valley, Cozinha da Clara. The entry level wine tasting is not worth mentioning, but things get more interesting if you choose the Poeira wine tasting, which is a display of the amazing work of the oenologist of this vineyard, Jorge Moreira. He created a rather interesting wine called Pó de Poeira which combines Alvarinho (the queen grape of the Green Wine region) with Gouveio, a grape variety that is typically used in Douro Valley. 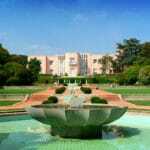 The tours at Quinta de La Rosa usually take place at 11h30, 14h30 and 17h. I recently found out an amazing wine shop in Douro Valley called RUMO. You might be wondering why on earth would you visit a wine shop on a wine region, where you can get the wine directly from the producers. The thing is that once there you’ll only have time to visit maybe 2 or 3 producers, and there is no guarantee that you will actually enjoy the wines you will taste. With RUMO, however, you’ll be pretty safe because as I found out, the store is owned by Sérgio Soares, one of the top agricultural engineers of Real Companhia Velha, one of the major producers in Douro Valley. 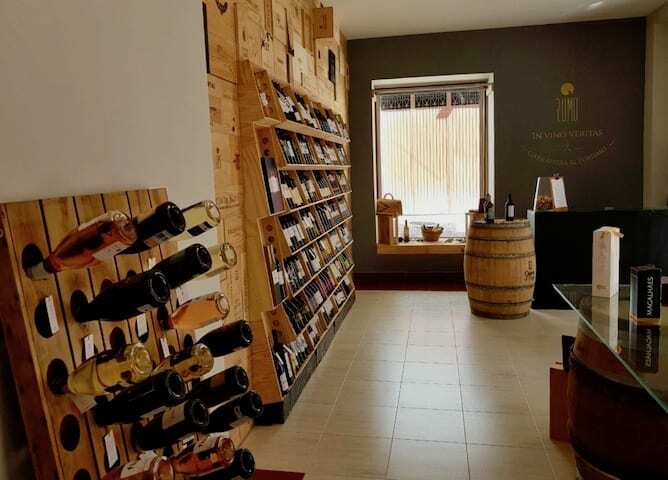 Therefore, the wines you find on the store have already been carefully selected by someone who is not a simple retailer but actually knows a lot about wines. And that is a great advantage when you are buying wines outside your comfort zone! This is me in love with the wines at RUMO. Once I entered this wine shop I immediately noticed that even though it is a small space it has a great portfolio of the wines from Douro Valley, such as the unique Series collection of rare grape varieties from this wine region. In there you’ll also find robust examples of other wine regions such as Soalheiro (from the Green Wine Region) and Ribeiro Santo (from Dão). Besides wines, RUMO also sells products from local producers and artisans, such as honey, olive oil, handmade jams and the most adorable straw purses. I felt in love with this place and I think you might as well do. Thank you Sérgio, from having such an amazing place in Douro Valley! Don’t waste time organising your day trip to the Douro Valley. I’ll do it for you! If you can also check here for Sixt Last Minute Special, even though this is not the best option, as I mentioned before. I’ve chosen Sixt and Europcar because I am quite experienced in car rentals and these rent a car companies provide the best prices, friendly staff and a great customer service. Go on a private tour: you can hire a personal guide like myself to drive you on the Douro Valley on a personalised itinerary designed specifically for you. You can read more about it down below!